Travel back to the 1950s to visit both the West Side Lumber Company in 1951 and the Pickering Lumber Company in 1953. Follow the logs as they are cut and transported back to the mills to be cut into boards. View the various Heisler and Shay locomotives in action and learn the strengths of each. The rare footage of this film gives you a great opportunity to witness a fascinating operation that exists only on this DVD and in memory. Joshua Craig Beytien (Iowa) on 2018-05-08 18:42:46. 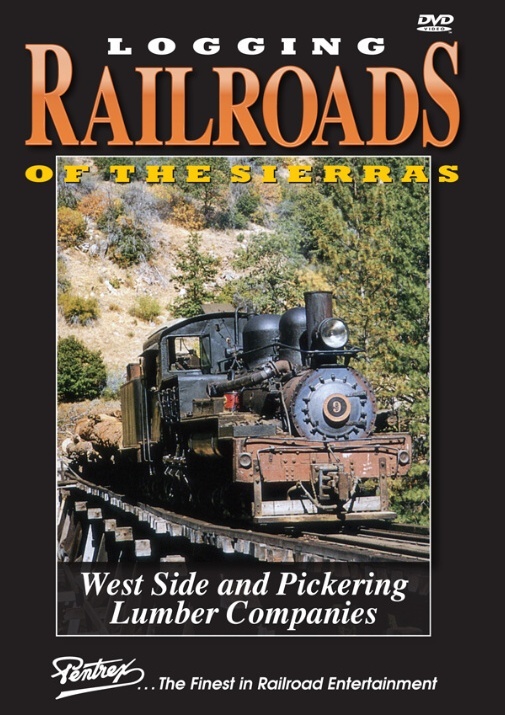 This documentary about logging railroads of the West Side Lumber Company is great. This might come in handy for school education about lumber industries.